It is often hard to draw a line underneath your work and call it finished. I thought I had completed this portrait but the very next day I saw some areas that clearly weren't right. The day after that I made some more changes. 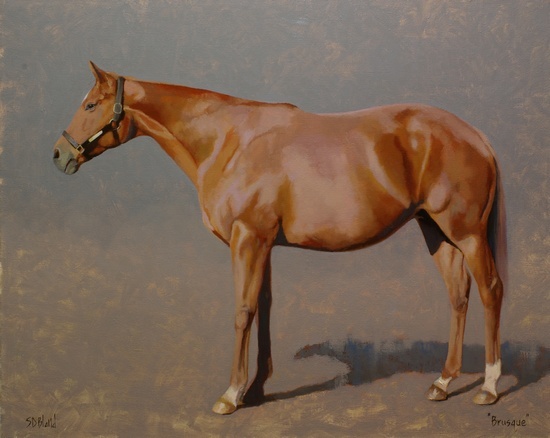 For these conformation portraits of retired racehorses, now broodmares, I was fortunate in being able to work with an experienced trainer when I took the reference photographs. Pier 66 was very cooperative, except for a brief time when a fly invaded her space, and Brusque modeled like she had been born to do it. Brusque. 24x30, oil on linen. 2015. 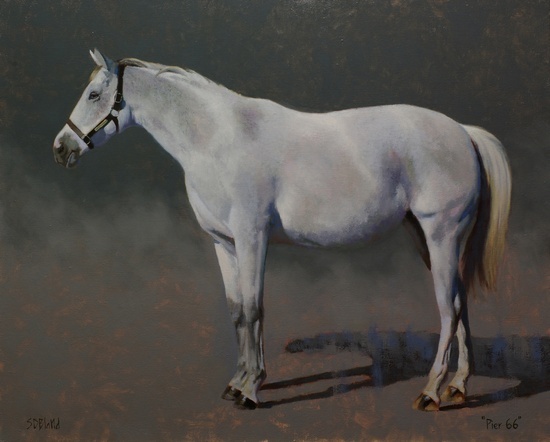 The companion portrait of Brusque turned out to be harder to bring to a state of completion (I had expected it to be the other way round when I started). The value changes in the coat create lots of edges where dark, transparent paint meets light, opaque paint and each of these needed to be analyzed and painted carefully. The effort paid off in the end. Both of the paintings were delivered to the customer and will now hang in corporate offices directly across from a series of paintings by John Ems.